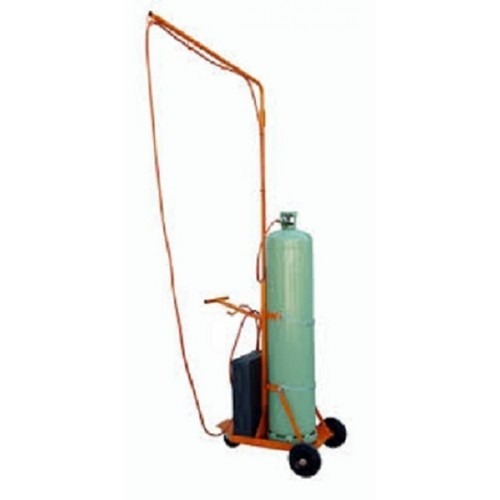 This Ripack 2000-2200 Gas bottle trolley model #932 is a great addition to your heat shrink gun set. This will allow for easy transportation, maneuverability and storage of your gun and tank. This model is for the “large” 50-80 lb. propane tank.